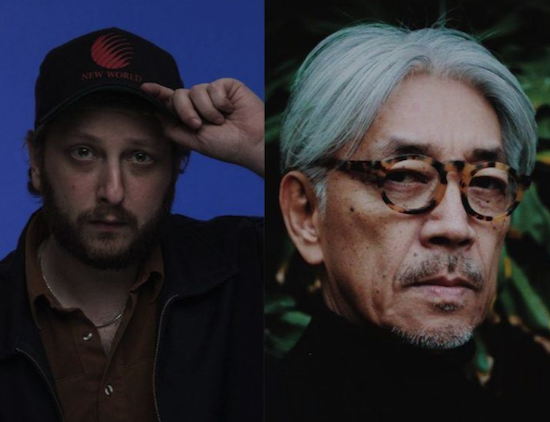 Ryuichi Sakamoto's remix of Oneohtrix Point Never is now available to listen to online. You can hear it below. The producer and former Yellow Magic Orchestra member has remixed 'Last Known Image Of A Song', a track which featured on Oneohtrix Point Never's latest album, Age Of, which was released earlier this year. The remix is one of four tracks to feature on OPN's new Love In The Time Of Lexapro EP, alongside the title track, which emerged from the same studio sessions as Age Of, an acoustic rendition of an Age Of track ('Babylon') which features Alex G and another unreleased cut called 'Thank God I'm A Country Girl'. Warp Records will released Love In The Time Of Lexapro this Friday (November 23). You can pre-order it here. The remix from Sakamoto follows Oneohtrix Point Never delivering his own reworking of a track by the former, 'Andata', which featured on Sakamoto's Async Remodels last year. Oneohtrix Point Never will bring his 'MYRIAD' live show to London's Roundhouse on March 8. Find more information, and get tickets, here. A track from Sakamoto recorded and originally released in the 1980s will feature on a new compilation from Light In The Attic, which has been curated by Visible Cloaks' Spencer Doran. The compilation, titled Kankyō Ongaku: Japanese Ambient, Environmental & New Age Music 1980-1990, is due out in February.